Garage Door Services Milford | Maietta & Sons, Inc. Since 1992, our family owned and operated company has been proudly serving the 30 Mile radius of Milford, Massachusetts including Franklin, Bellingham, & Framingham, MA with premier garage door repair and installation, garage door opener service and garage door sales. As a one-man show comprised of repeat customers, Maietta & Sons, Inc has built up a positive reputation for quality workmanship and fair prices. 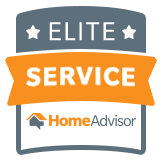 “Competitive prices with old school work ethics” is one of our company mottos, and complete customer satisfaction is at the top of the agenda. Maietta & Sons, Inc is your local garage maintenance company within the Massachusetts area. An attractive garage door is a must for both aesthetics and security. Garage door installation and repair is one of our specialty services and essential to the security of your premises. We have worked with all garage door brands, and can assist you with new door installation, garage door replacement, opener repair, 24/7 emergency service, automatic garage door repair, along with quality service and installations. Whether you desire a classic carriage house look, modern or time-honored style garage door, Maietta & Sons, Inc has what you need to carry out your specific vision. If you are experiencing issues with your garage door or are looking to replace the current one, we offer Same Day Service! No task is too big or small for our team. Get in touch with our expert staff today! We offer a broader selection than any company in performance, featured, and durable brands, such as LiftMaster® and Marantec®. All of our brands offer the optimum in safety and security features, and are obtainable with a variety of horsepower levels and drive systems for all types of homes and applications.